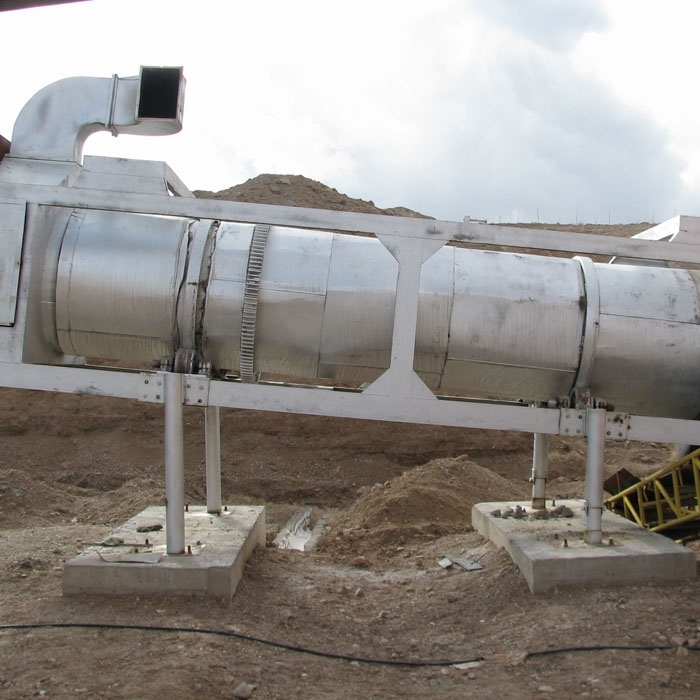 Rotary dryers/heaters are suitable for drying/heating metallic and nonmetallic minerals in several industries such as cement industry and coal mines. Rotary dryer are tube shape heaters employed for minimizing the liquid content of the input material or to act as preheaters increasing the temperature of the charge material by bringing the material into direct contact with the heated gas. This type of dryer is made up of a cylindrical rotating tube supported either by a concrete or a steel base. 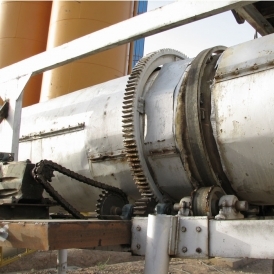 The cylinder is positioned slightly inclined so that the discharge end is positioned lower than the feed end so to help the conveying of material by the use of gravity. While the cylinder rotates the fed material passes through a series of fins installed on the internal surface of the tube. Going up the cylinder wall to some extent the material falls down and in the mean time it passes through the hot gas stream. The gas stream can either be co-current or counter-current. In the co-current type the gas stream flows from feed end to the discharge end of the dryer; whereas in a counter-current style the gas flows from discharge end to the feed end of the heater. This gas stream is usually consisted of air and combustion gases from a burner. PAXAA’s rotary dryers provide a means of conveying, heating/preheating and drying the charged material. We are able to design and produce rotary dryers in different sizes and types depending on customer’s charge material, intended capacity and field of activity.